The very first proposal I pitched to a big publisher on the phone got me a non-fiction contract within a few months. What I must admit in the same breath, however, is how long it took to plan and set my goals to make my dream of getting published become a reality. When after all those weeks, months, or years, you get ‘the call’ it all seems worth it. Because you’ve achieved the end result. Your dream of seeing your name on the front cover of a book you’ve pored your heart and soul into, is within your grasp. An idea on its own is useless unless it’s acted upon and seen through to fruition. It’s all about your attitude and believing in your vision. I knew one thing, that this time I wouldn’t stop writing and pushing until my visions came true. In my twenties and thirties, I plowed away at life’s realities, worked, had a family, attended business school and kept my dreams alive by reading voraciously. Sometimes I envied, but was inspired by the big names of ostensible overnight successful published authors on TV or newspapers. In my fortieth year on my dream vacation, basking in Hawaii’s paradise, I took a long hard look at how much closer I was to my first love; writing. And realized that I was still no nearer my life’s goal. Not one to settle for second best, I wanted my name on the front of many books, not just articles, business profiles in newspapers and charitable recognition. So sitting down with my trusty pen and paper I did a SCOT analysis (Strengths, Challenges, Opportunities and Threats). I wrote down the pros and cons to help me process the nit-gritty of all aspects of my dilemma. I wanted to take the publishing bull by the proverbial horns and at last admitted – to myself and my husband – that I wanted to stop my growing business and go on a sabbatical after the hectic summer camp season was over. After his spluttering shock had subsided somewhat, we discussed the reality of giving up my extra income, and disappointing many children and their parents, who depended on Jolly Good Art School on so many creative levels. What would people say? “Maybe the business isn’t as successful, maybe it’s too difficult, and maybe Tanya’s just plain crazy!” I expected these from my friends and family, who knew what had gone into making the business a success. But being supportive of each other’s creative spirits, my husband upheld my decision to go for it. Through my business newsletter, web site and phone calls I told everyone of my six month sabbatical, and threw myself into learning and soaking up anything I could about the publishing industry. Fiction and non-fiction. 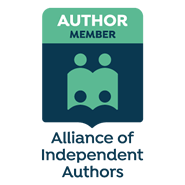 I attended writing courses, started a writing group, and joined various writing associations, such as Romance Writers of America, and some of its chapters, until I had a healthy critiquing and writing network. Not afraid of rejection, after years in your own businesses, I believe “nothing ventured nothing gained” really does give you an edge. Rejection? You can’t please everyone all of the time, and writing – like art – is very subjective. I started to use my networking and target marketing strategies to my writing career. I didn’t believe in blasting the market; I honed in on a particular niche and what I love and know. After the six-month deadline, I sat down and took stock of how I can capitalize on what my life has taught me so far, and bring in some money from it. I was afraid soon I wouldn’t be able to afford the basics, like stamps and printer cartridge. Finances were all on my husband’s shoulders, and the realist in me knew it may take years to get published. My choices were a) to reopen the doors of the art school, b) get a full or part-time job, and work on my own projects in the spare time, or c) continue working under pressure in what some people called my “pie in the sky” dream of breaking into the most difficult business, publishing. I bit the bullet and went to see a networking guru, Donna, who soon was to become a coach and a good friend. I listened to everything she suggested, and listened in between the lines too. I was determined to get my fiction published. But Donna made me realize that I had a great mine of resource right at my fingertips. After years of running my own businesses the idea popped into my mind; why not write an up-close-and-personal, hands-on step-by-step book that would inspire and help others by sharing my experiences, and my specific ways of conducting business. The concept of Start and Run An Art Teaching Business took shape. First I went to the biggest bookstore and searched for the kind of book I’d have liked to buy if I was starting out in the creative art business such as my own. Nothing similar could be found, not even on Amazon, and other Internet marvels. The library had some similar “how to’” books, but none covered all the aspects of the creative and business side of my idea. Plucking the courage I called a publishing company who had a good reputation with educational, legal and other books. I reminded myself that if I had an instant rejection, at least I was saving myself weeks or months of writing, if my idea wasn’t as good or original as I thought. Call it luck, my confidence and enthusiasm on the phone, my conviction and faith in my idea, I did it. The editor listened to my pitch, and said that it sounded like something they’d be interested in looking at. For the next six weeks I researched how to write a compelling, professional and solidly marketable book proposal. The literary agent and author, Peter Rubie, had an invaluable article on his website, on how to write a book proposal. I panicked and almost balked half way through the actual writing of the sample chapters. I realized the enormity of the task, both at composing the proposal and, if they accepted it, the reality of writing the actual book. I sent it off and waited. And waited. I got on with writing my other projects, my fiction, and learned more about the world of publishing. By now I’d been an RWA, and Toronto Romance Writers member and knew the importance of support from likeminded spirits. I listened intently to CDs of RWA writing conferences, soaking up everything regarding the craft and business of writing. Three months later I inquired as to whether there was any interest in my non-fiction proposal. Reopening the doors of Jolly Good Art School wasn’t an option any more, even though I still maintained the private classes for some of the special needs students that derived better self-expression through art. Although nostalgia (and practicality) beckoned sometimes, I held on to my stubborn convictions that one of these days I’ll make it in the publishing world, just like I’ve made it in other walks of life. The creative writing bug took over me, even stronger than my love of imparting joy through teaching art. It was more powerful and addictive, like the bad boy on the Harley overshadowing the good guy next door. It’s an obsessive love whichever way I try and analyze it. So my opportunity of combining my entrepreneurial skills with my first love came to me when I was good and ready. This was my way into the publishing world. I grabbed hold of it with all my might. It took me seven months of excited, yet nerve-racking long hours of creating and revising the first draft. Even going through breast cancer treatments did not dampen my enthusiasm. In fact, writing saved my spirit, I believe. It may have taken me years of living the life that molded my personality to bring me to this point in my life, but I’m one of the many people who are proof of the fact that if you don’t talk yourself out of your good idea, you too could be sitting on a goldmine you’ve been driving towards all your life. What’s your day job? And what’s your dream? Where would you start to built and develop your idea? Has the time come to discover your inner heart’s passion? Or are you still waiting for tomorrow?